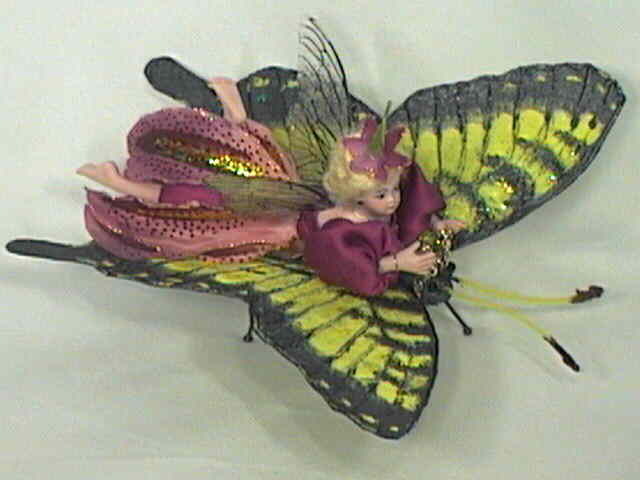 Miss Lily fairy doll is hitching a ride on her Tiger Swallow Tail butterfly friend! Lily is a teen-age fairy and her sweet face will capture your heart. She wears a lily dress with satin pantaloons, and of course, fairy jewelry. 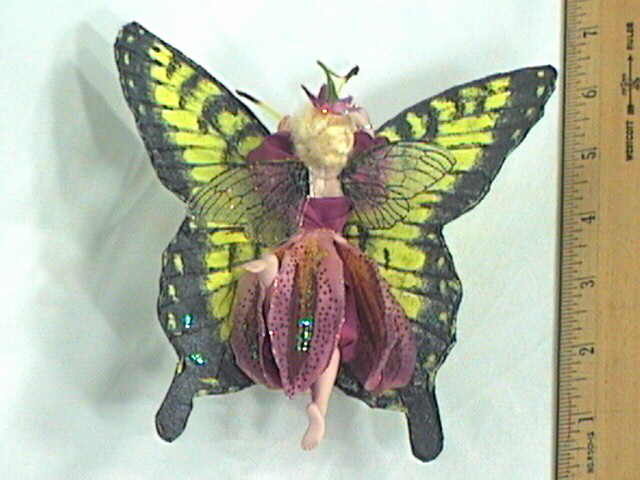 Lily is a handpainted porcelain miniature fairy doll, about 5 1/2" tall from head to foot. 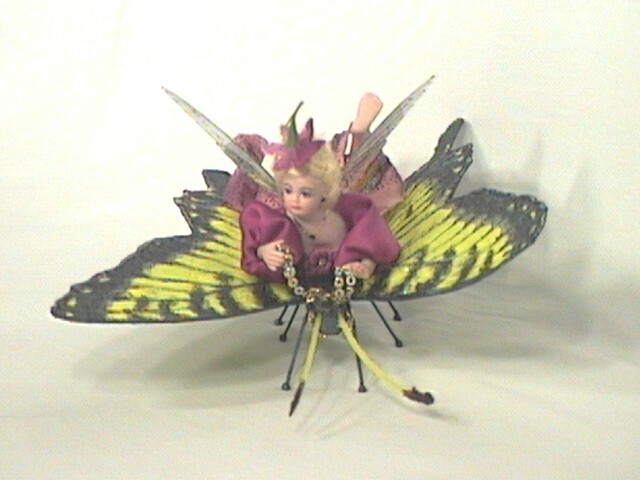 She is holding the tiny golden reins to her butterfly, which is all handmade and hand painted. Her wingspan is about 6". Miss Lily is a beautiful work of art created by the artist JoAnnJ of Galleria d'Juliani, and is hand signed by her.